On our way back from the beach we always take time to stop at this really awesome farm market just a few hours from home. They were loaded with peaches of all kinds. Red haven peaches were the ones I purchased, and little did I know that a bag of peaches is called a peck. There’s 1/4, half, and whole pecks of peaches ready for purchase. I went for the 1/4. Plus I never go without buying their mix for apple crisp…yummy yum yum!!!! And while there we always go to the wooden train display. The tot is a train junkie, so she loves climbing in and out of the cars. We also started this little tradition where every year we take a photo of her on the train. We started when she was 18 months old. Now she’s 3, and when you see the photos side-by-side…she’s growing up too damn fast…and she’s very tall for 3! She’s already in youth-size shoes and exiting out of toddler-sized clothing!! 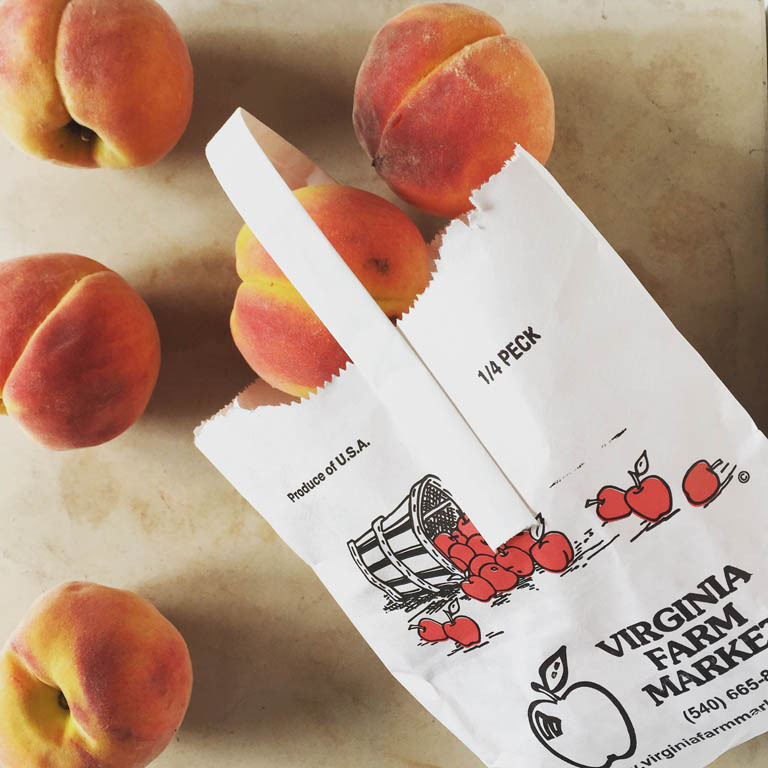 And she loves peaches, so this trip to the farm market was tops! I knew I wanted to make some sort of pie with the peaches, but I didn’t want to do just any ol’ peach pie. 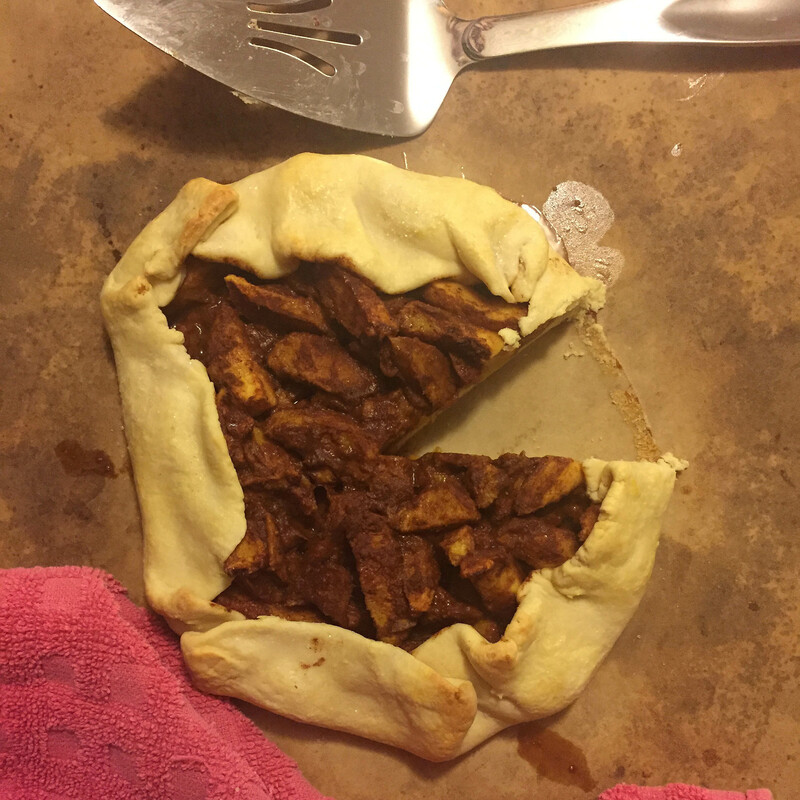 I stumbled upon Yossi’s post on the easiest pie crust ever, and I loved how it is made!! 3 ingredients, that is all!! Super-duper easy-peasy to me!! The crust was made for galettes or small pies, which is another type of pie where no pie plate is required; you use the dough as your plate. It’s like a pouch to put your favorite fruit in and bake it. I never done it before and I just had to try it out. You can also find the recipe for the Easiest Pie Crust Ever on Epicurious as well. Result: fabulous!!! 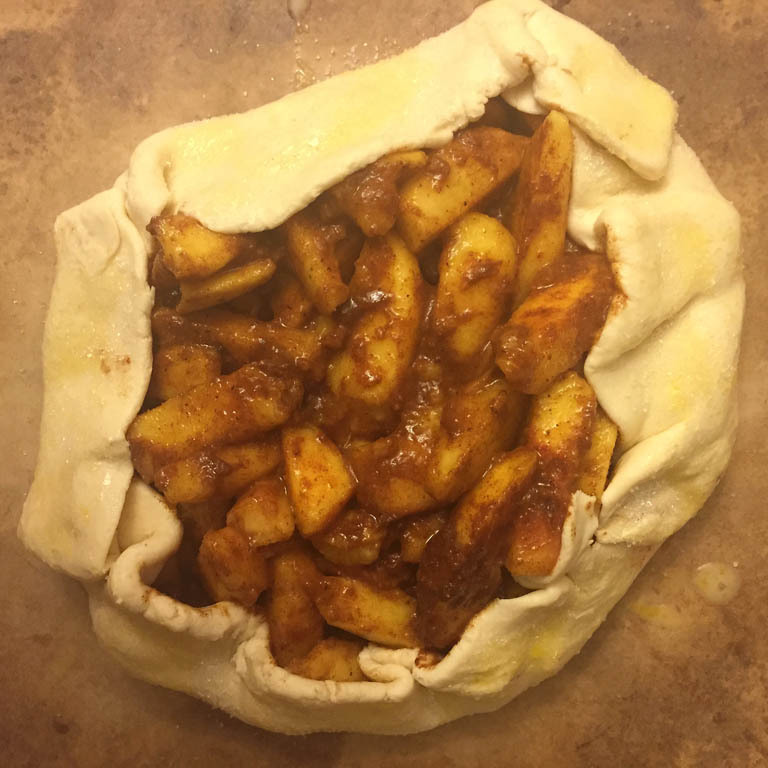 Such a neat little way to do fruit, and what’s really great about making galettes is that you can make them at any size. Either personal size or one big one, galettes are now on my list of favorite things to bake! The recipe for the dough doesn’t have a time frame for how long it’s needed in the oven since it can be made in all sorts of sizes, so keep a close eye on it. Mine clocked in at 35 minutes at 350-degrees. I also have blueberries and strawberries; they may be used for my next galette! This dessert will not disappoint; give it a try! For the dough recipe, go here or here! • Follow directions for the dough. 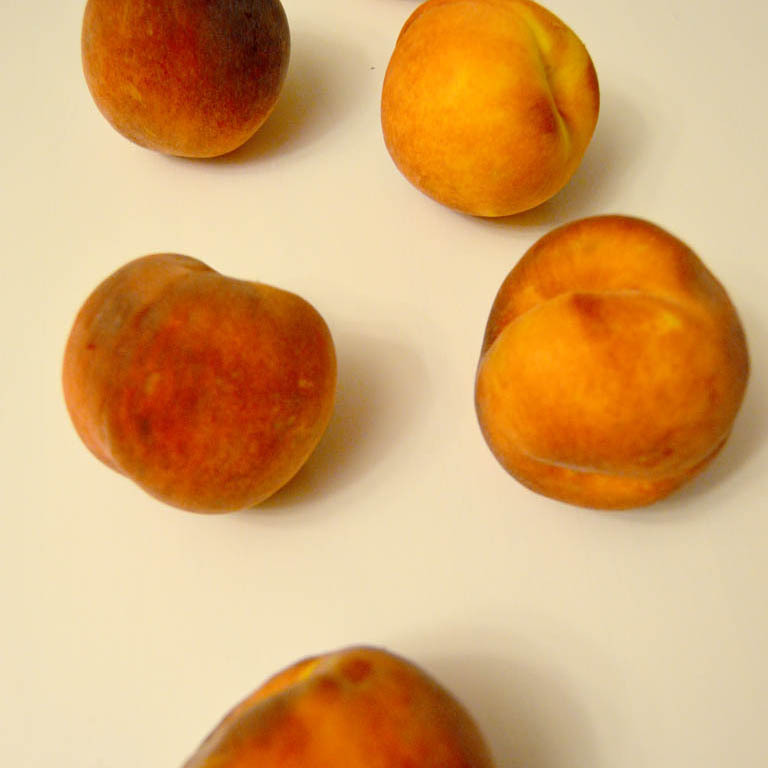 • Place the peaches or desired fruit into a medium-sized bowl. Squeeze juice from the lemon over the fruit. 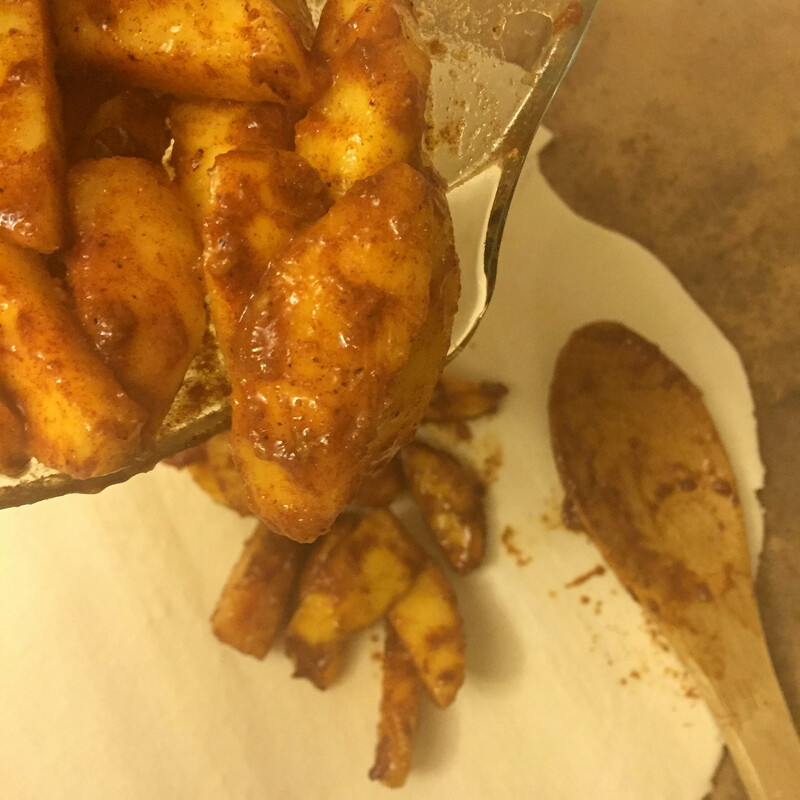 Sprinkle the spices and brown sugar over the fruit and stir until evenly distributed. • Spoon prepared fruit in the center of the dough. Take the edges of dough and carefully fold over the sides to create a “bowl” of fruit. • For the egg wash, in a small bowl whisk egg and milk well. Take a pastry brush and brush egg wash on to the dough. This will give your dough a nice, golden color when baked. Sprinkle sugar onto the dough. 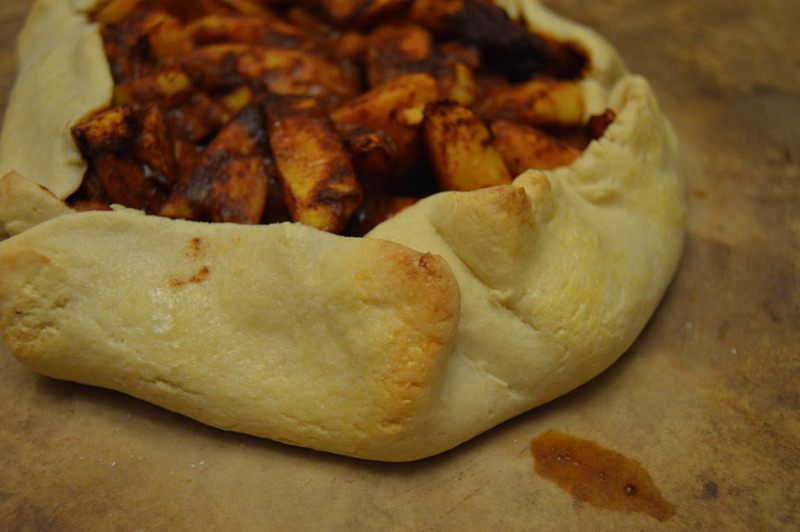 • Bake galette until dough is golden, about 30-40 minutes. *Instead of a regular baking sheet, I used a baking stone, like this one here.